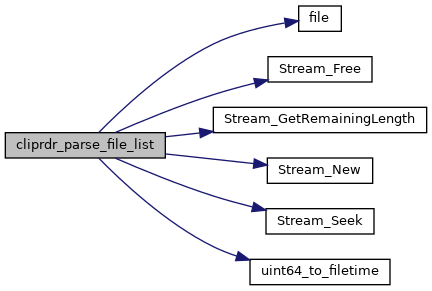 Parse a packed file list. The resulting array must be freed with the free() function. [in] format_data packed CLIPRDR_FILELIST to parse. [in] format_data_length length of format_data in bytes. [out] file_descriptor_array parsed array of FILEDESCRIPTOR structs. [out] file_descriptor_count number of elements in file_descriptor_array. 0 on success, otherwise a Win32 error code. Serialize a packed file list. The resulting format data must be freed with the free() function. 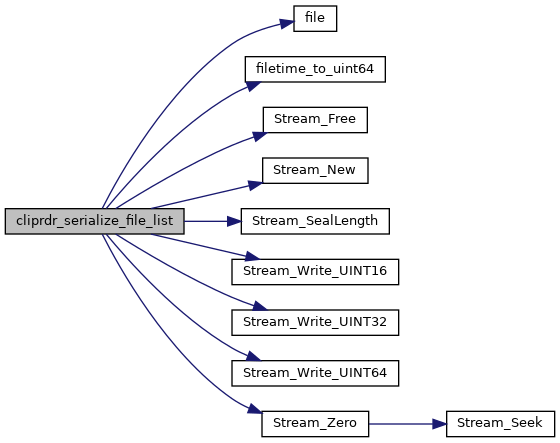 [in] file_descriptor_array array of FILEDESCRIPTOR structs to serialize. [in] file_descriptor_count number of elements in file_descriptor_array. [out] format_data_length length of format_data in bytes.